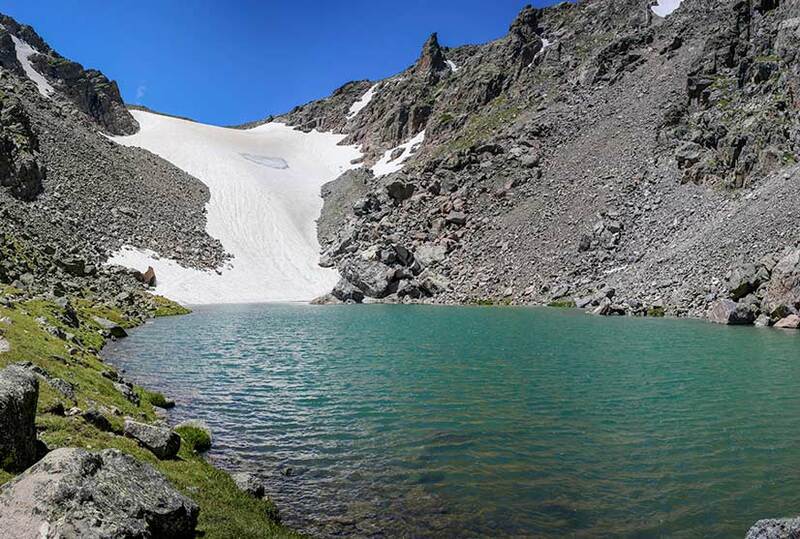 Andrews Tarn and Andrews Glacier are high up in a more secluded area of Rocky Mountain National Park. 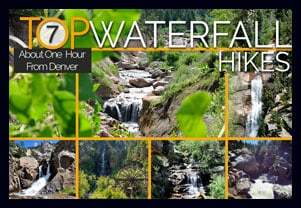 It’s a strenuous, almost 10 mile hike for those who are up for the challenge. 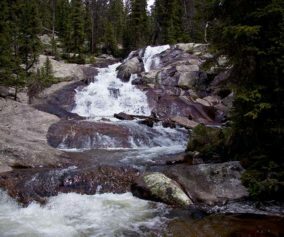 Though it can be demanding, the Andrew’s Creek area is one of our favorite trail sections in RMNP. 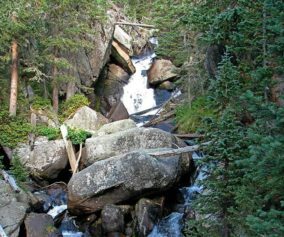 Explore the full Andrew’s Tarn and Andrew’s Glacier hike profile below for trail map, driving directions, and all the details you need to enjoy this adventure in Rocky Mountain National Park. The trail to the Andrews Tarn begins at either the Glacier Gorge Trailhead (see driving directions above), or at the Bear Lake Trailhead (driving directions). Because the Glacier Gorge Trailhead has a much smaller lot, you may need to drive further up to Bear Lake. There you’ll find a short connector trail that will put you on the path down and over to the Glacier Gorge Trail system. In the event that parking at Bear Lake is full, you’ll then need to park at the Park & Ride near the Bierstadt Trailhead and take the bus into the trailhead. This service runs 7am to 7PM and more information on the RMNP shuttle bus routes can be found at this link. 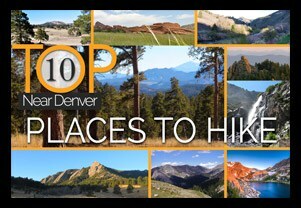 Hikers will begin on the trail leading to Glacier Gorge and Loch Vale. 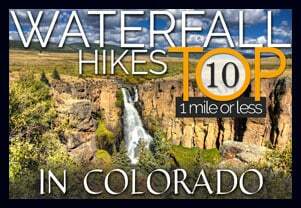 The first destination that you’ll encounter is at .8 miles, Alberta Falls (photo above). The trail then climbs toward an eventual trail junction. The way to the Loch is to follow the Glacier Gorge/Loch Vale trail that bears right and ascends for about another .5 mile to another trail junction. At this second junction the trail to the left will take hikers to Glacier Gorge, and the trail to the right takes hikers on a jaunt to Lake Haiyaha. The middle trail leads onto the Loch Vale Trail–this is the trail that will eventually lead into the Andrew’s Creek area and to Andrew’s Tarn and Andrew’s Glacier. 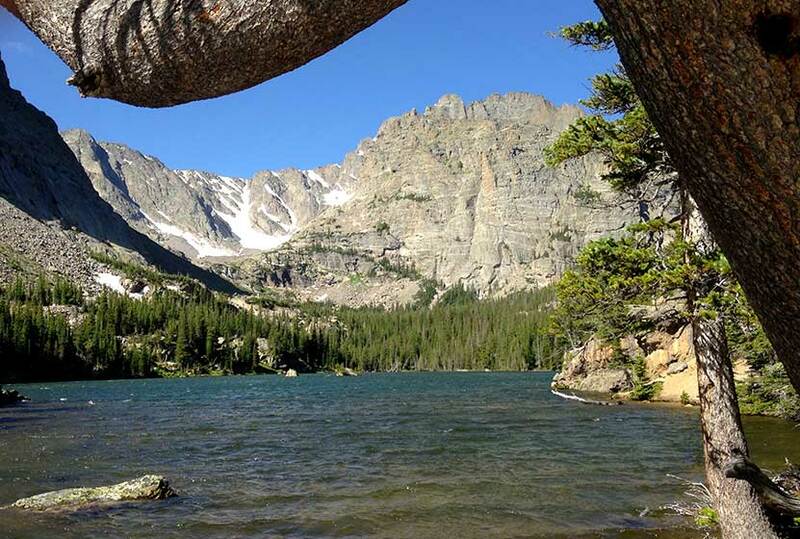 Having hiked about 2.7 miles, you’ll arrive at the shores of The Loch, one of the most photographed lakes in Rocky Mountain National Park and a popular destination for hikers and those looking to catch some trout. After this point, you should see fewer hikers. The trail continues along the northern (right-hand) side of the Loch for about .6 mile where there is a final trail junction. The trail to right will lead to Andrew’s Glacier and Andrew’s Tarn. 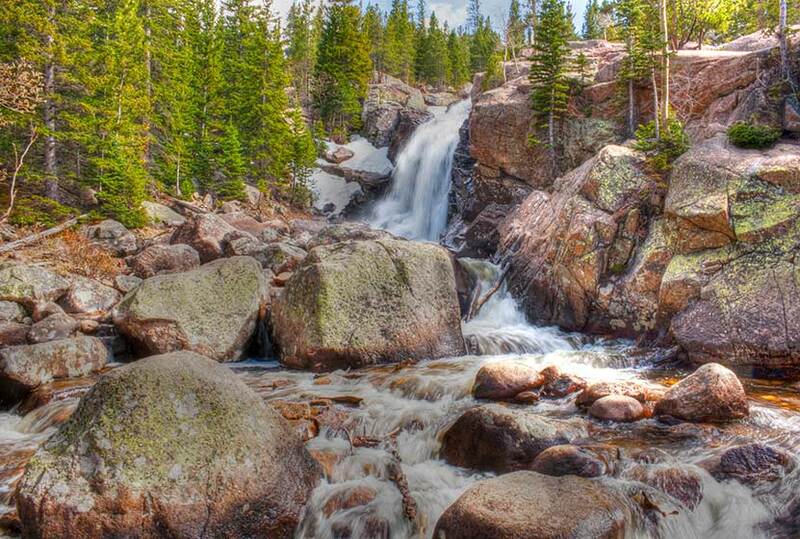 The other option leads to Timberline Falls, Lake of Glass, and Sky Pond. The next segment may be my favorite in all of Rocky Mountain National Park. The trail weaves through a verdant forest following Andrew’s creek. Its clear waters spill over tree roots, rock, and snow as it makes it way through this fairy tale valley. In the early summer of 2004, I camped in the valley just before a snowstorm. Everyone was leaving this part of the park, so I had it all to myself. A cow elk and its calf were my only visitors. The Andrews Creek Backcountry Campsite is the only campsite in this area of the park and must be reserved through the backcountry office. As the trail ascends it becomes more of a challenge, and hikers may need to pause to locate cairns (stacks of rocks) that indicate the location of the trail as it courses through scree and talus. Snow lingers up in this part of the park, so trekking poles and traction devices can be a great help. 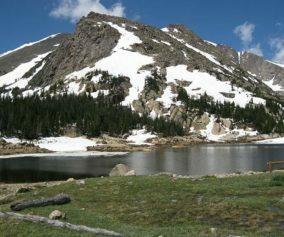 After hiking this 1.3 mile segment, the trail terminates at Andrew’s Tarn, an emerald meltwater lake that has formed in this bowl high in the Rocky Mountains. It’s about another 1/4 mile around the lake to the base of Andrew’s Glacier. While Andrew’s Glacier is a used route for accessing the continental divide and peaks such as Taylor, and is used as a route of descent after summiting Flattop and Hallet Peaks, travel on the glacier is both problematic and can be very dangerous. Though it’s a small glacier, in the summer, crevasses open in its surface. And sliding down, especially when it’s icy, can quickly turn into an out-of-control trip down its surface. Hitting rock on the way down could even be fatal. Please talk with a ranger or call the park service before making travel on Andrew’s Glacier a part of your plans. TIP: If parking at the Glacier Gorge trailhead is full, park in another established parking area. A shuttle bus is also available. 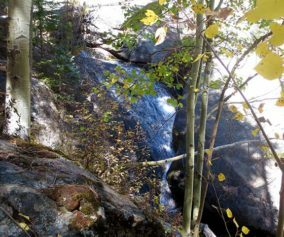 Add Timberline Falls to Your Hike: Before or after your trip to Andrew’s Tarn and Glacier, hikers can enjoy Timberline Falls–one of the best waterfalls in the park–and located approximately 1/4 mile beyond the Andrews Creek trail junction along the main Loch Vale trail. Trekking Poles in Spring and Winter: Because the snow and ice can settle in until early Summer we recommend Trekking Poles and/or Traction Devices for this trail. Start early in the morning: Do so on a day with a good weather expected. This is to secure a good parking spot and to avoid thunderstorms. Photo: We would like to express our gratitude to Ed Ogle for his photograph of Andrew’s Tarn and Glacier .